‘Grow Home’ is Ubisoft’s latest endeavour which stars and introduces us to a Botanical Utility Droid (or BUD, to his friends) and it is on a mission to save it’s home planet. An idiosyncratic adventure game, if you will. 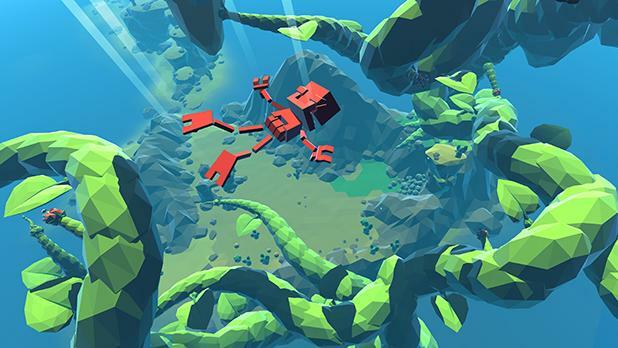 Grow Home’s story depicts BUD navigating through an angular, cel-shaded island. The botanical utility droid’s mission is “to search the galaxy for a new species of plant that can oxygenate his home world”, Ubisoft said in a statement. The game has been described as “quirky and experimental” by the publisher, and has also confirmed that it is being developed by a small team at Ubisoft Refelctions, which is the UK studio responsible for games such as the acclaimed racer, Driver: San Francisco. “By growing and directing the giant Star Plant into a towering organic sculpture, players reshape the planet and create a magnificent landscape that lets them climb to new heights. The game’s unique climbing controls and abilities challenge players to continually reach for higher ground, but one wrong move and it’s a long way down.” – An outline of the game’s objective, by Ubisoft. Grow Home is set to ship on 4th February 2015 on Steam, and you can watch the teaser trailer HERE, on our ‘Exciting Game Trailers’ playlist on YouTube.